AUSTIN, TEXAS—Affirming the organization’s commitment to advancing patient safety and improving access to anesthesia care, the Texas Association of Nurse Anesthetists (TXANA) announced their newly elected 2018-2019 Board of Directors. The new board takes office as TxANA celebrates its 42ndanniversary, founded in 1976 to advance the interests and profession of Certified Registered Nurse Anesthetists(CRNAs). “TxANA board members, who serve one to two-year terms, represent the diversity of our profession and our great state, geographically and demographically,” added Board President-Elect Matthew Mitchell. “TxANA is committed to supporting our members who provide safe, cost-effective anesthesia care to thousands of Texans each day. These new board leaders will help us advance our focus on improving patient access to anesthesia services delivered by highly-qualified CRNAs all across our state,” said Dr. Riddle. CRNAs are advanced practice registered nurses who specialize in anesthesia care and who safely administer more than 43 million anesthetics to patients each year in the United States. More than 4,500 CRNAs are licensed to work in Texas, and they practice in every setting in which anesthesia care is delivered: hospitals, obstetrical delivery rooms, ambulatory surgery centers, doctor’s offices and pain management. Nurse anesthetists are also the main providers of anesthesia care to U.S. military personnel on the front lines since World War I, including the current conflicts in the Middle East. 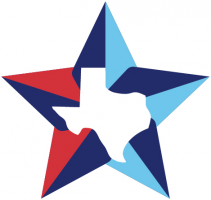 The Texas Association of Nurse Anesthetists(TxANA)is the non-profit, statewide association for CRNAs with a focus on advancing the profession of nurse anesthesia, enhancing the art and science of anesthesiology, and facilitating the provision of accessible, affordable, high-quality health care. Established in Gainesville, Texas, in 1976, TxANA membership includes over 4,100 CRNAs and SRNAs. To learn more visit www.txana.org.